Lassi is made from yogurt, but it's properties are changed by adding water, herbs and spices and then churning it. Churning adds heat which changes the yogurt from cold, gloppy, goo-glue into a fluid substance that is channel opening and great for aiding digestion. It's easy to accumulate ama (toxins) with yogurt, but lassi doesn't clog so you stay ama free. It's also great for indigestion and hyper acidity as it's cooling. Great for pitta types who like yogurt - yogurt imbalances and lassi balances (like a ballerina!). Lassi's are quite delish and there are many recipes for them (just google). Below is my recipe that I use (pitta-vata type). Sometimes I even skip dinner and just have a lassi because it makes a nice light meal to aid digesting food from the day. Use a whisk or hand blender and CHURN!! For about 2 minutes. It will get liquidy and a little frothy. Pour into a cup and you can sprinkle extra cardamom or cinnamon on the top if you want. You can sip lassi at the end of a meal or have as a snack or small meal all by itself. 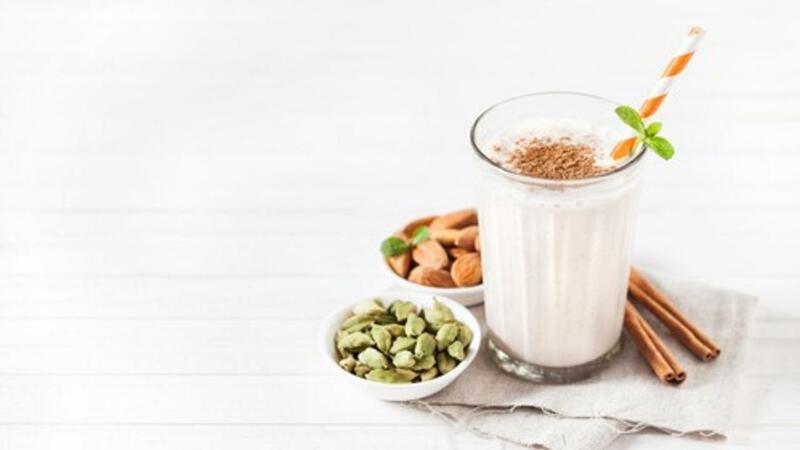 Skip the yogurt, give lassi a try and enjoy the treat with awesome benefits, as you keep bringing Ayurveda to life!